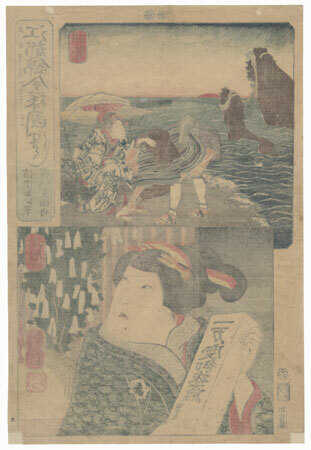 Ise and Shima Provinces - Attractive woodblock pairing kabuki scenes with two provinces. 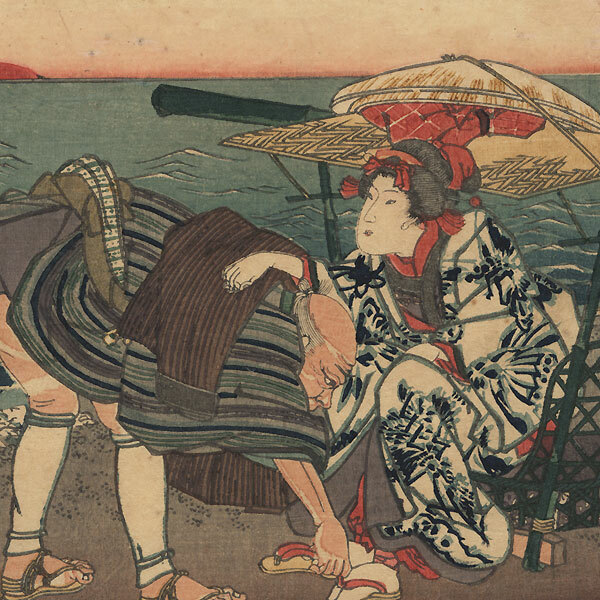 The top design for Ise Province shows the beauty Ohan of the Shinano-ya sitting in a palanquin on the shore as an older servant adjusts her sandal. The famous "Wedded Rocks" rise up out of the water at left, and a red sun glows on the horizon. 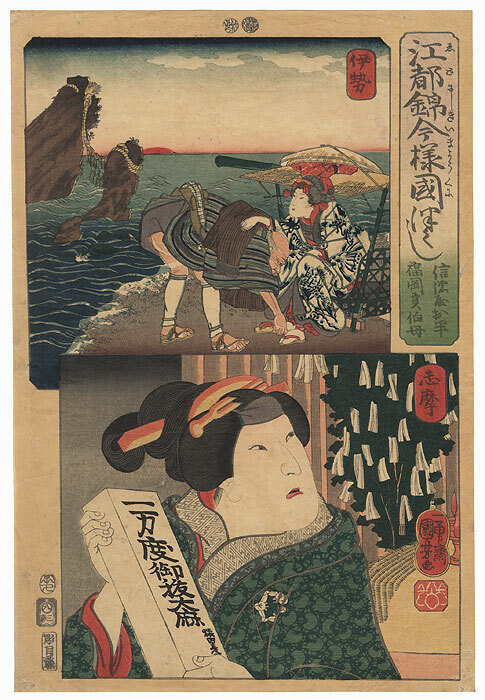 Below, the scene for Shima Province features Arashi Rikan III as the aunt of Fukuoka Mitsugi carrying a scroll box. The matron looks over her shoulder with an unhappy frown, her mouth slight agape. Behind her, an altar with an oil lamp is flanked by a cluster of branched adorned with paper strips. A handsome design with an expressive portrait and a fine landscape subject. Condition - This print with excellent detail as shown. A few small holes, repaired. Slight toning, soiling, and creasing Please see photos for details.